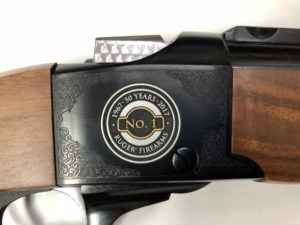 Features: Lever Action. 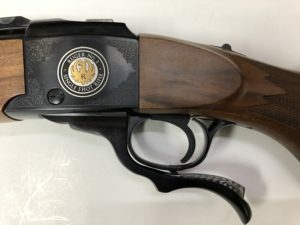 Case Hardened Receiver. Features: IPSC Open or Limited ready. Please see description. TARGET OR USPSA/IPSC COMPETITION READY OUT OF THE BOX! 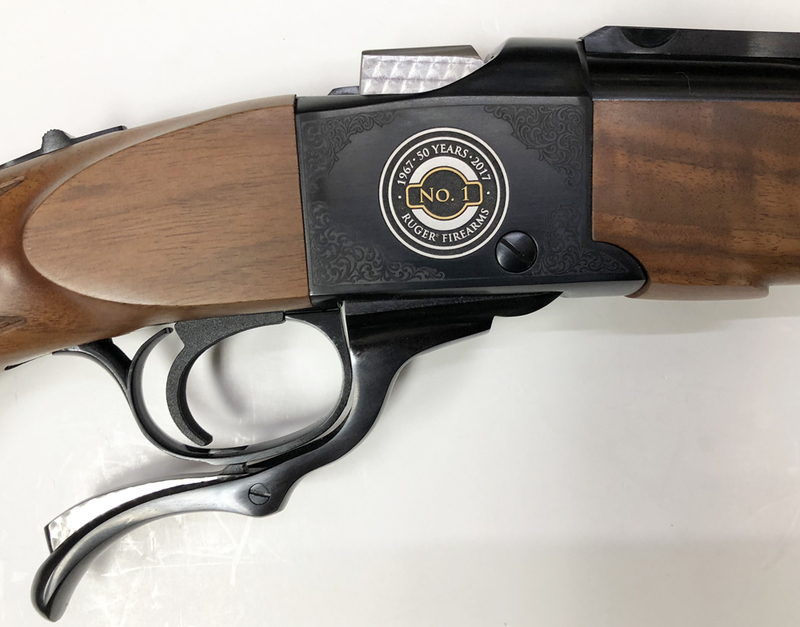 Arguably the most versatile and highest performance competition gun we ever had! 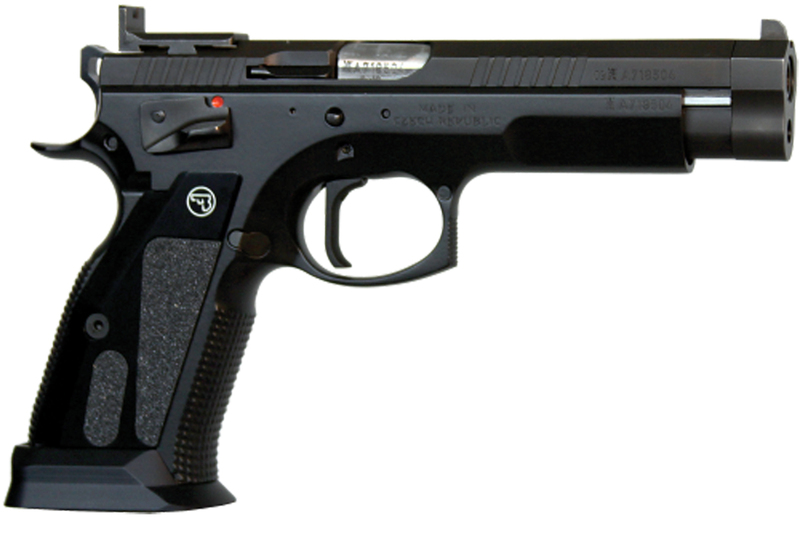 The legendary and perennial competition winner CZ 75 TS Czechmate is based on a modified version of the CZ 75 TS frame. 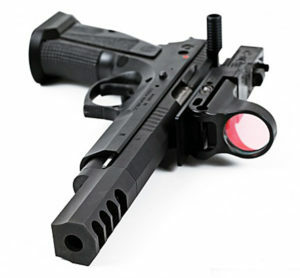 It comes with all parts necessary to run either in IPSC Open or Limited division (both in 9mm). 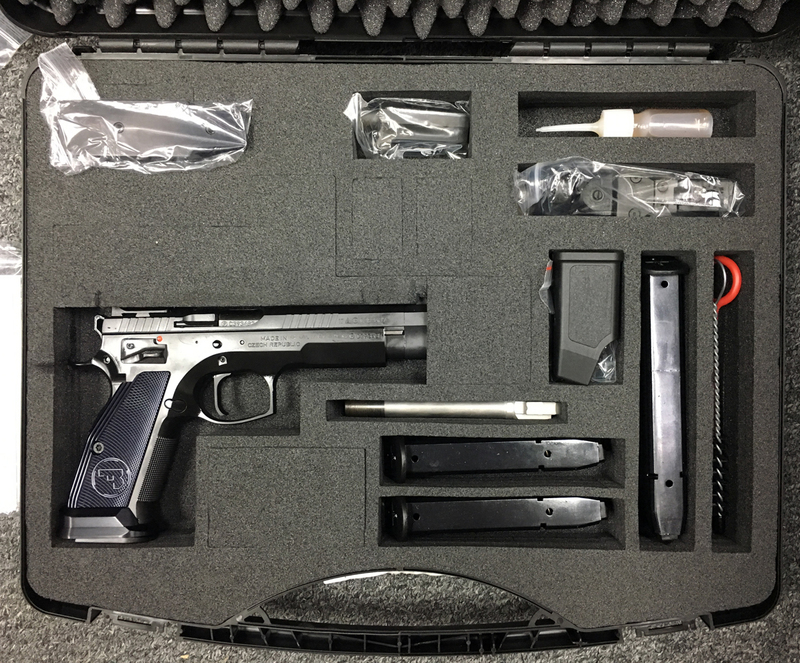 The Czechmate comes configured for Limited division out of the box, so if you only want the highest possible performance 9mm pistol available you are done! 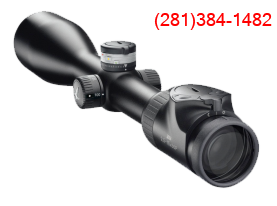 It can be easily transformed for Open division competition with the compensator and C-More red dot mount and sight provided. 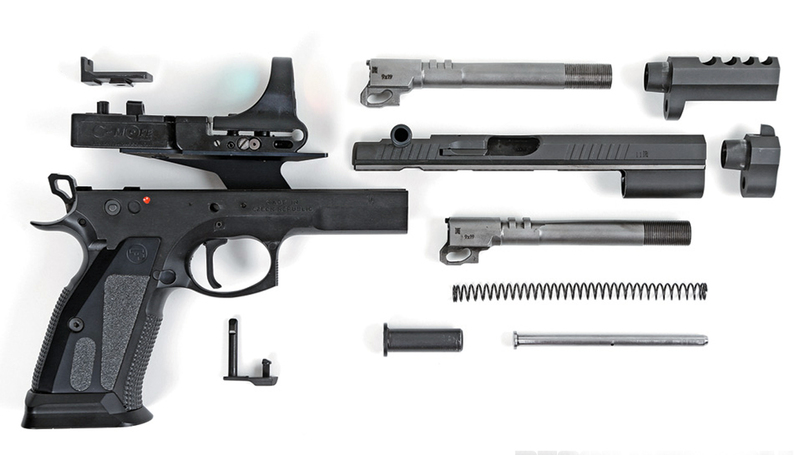 The included compensator replaces the front sight adapter and the slide racker replaces the rears sight when switching from Limited to Open configuration. 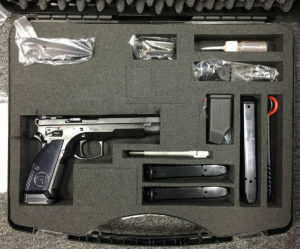 A big stick 26-round magazine and 3 20-round magazines are included in the CZ hard case. 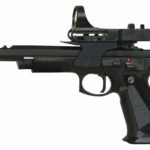 Although CZ designed this pistol as an out-of-the-box race gun, it’s far from being a one trick pony. 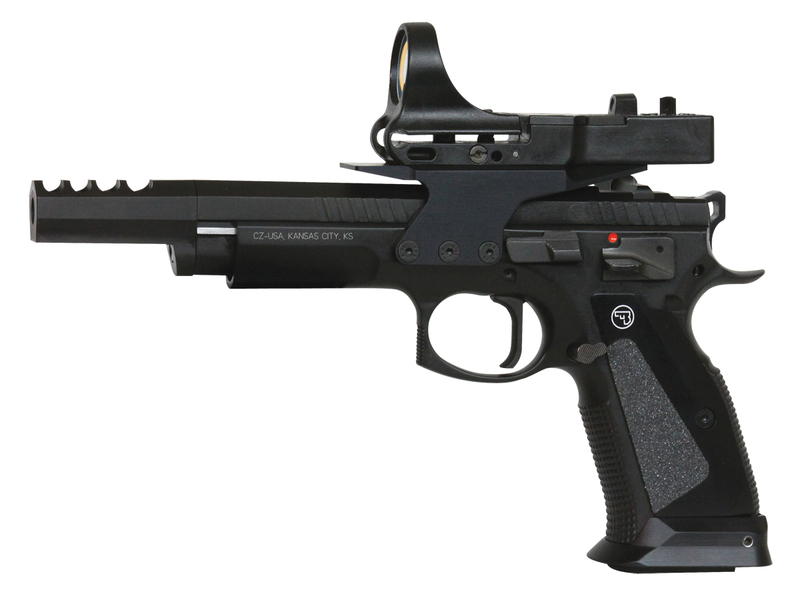 The Czechmate is quite a value, coming bundled with various options to allow the owner to configure the pistol in different ways and grow the pistol as his/her own skills and interests growth. It arrives with an excellent set of iron sights, C-more reflex sight with mount, a spare barrel and a compensator. The compensator is designed for high-pressure loads in 9mm cases, duplicating the ballistics of the .38 Super cartridge and bumping the Czechmate into the Major caliber category for USPSA and IPSC competitions. 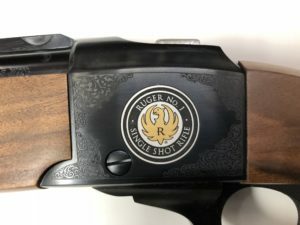 The extra barrel allows the owner to quickly reconfigure the pistol for events with a different power factor. Other bonus items in the package include four magazines, three that hold 20 rounds and one 26 rounds. This alone represents almost $300 of value with the current price of competition magazines. 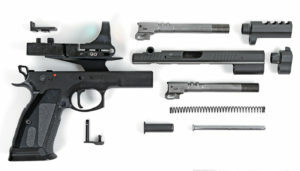 Additional parts include a loader, a spare extractor, an extra slide release, and four replacement slide release pins. Features: Gold Engraved. High Grade Wood Stock. Limet Edition. BACK IN STOCK – OUR LAST UNIT OF THIS LIMITED EDITION! The ultimate American Classic Rifle the Ruger No. 1 in 308 Winchester. 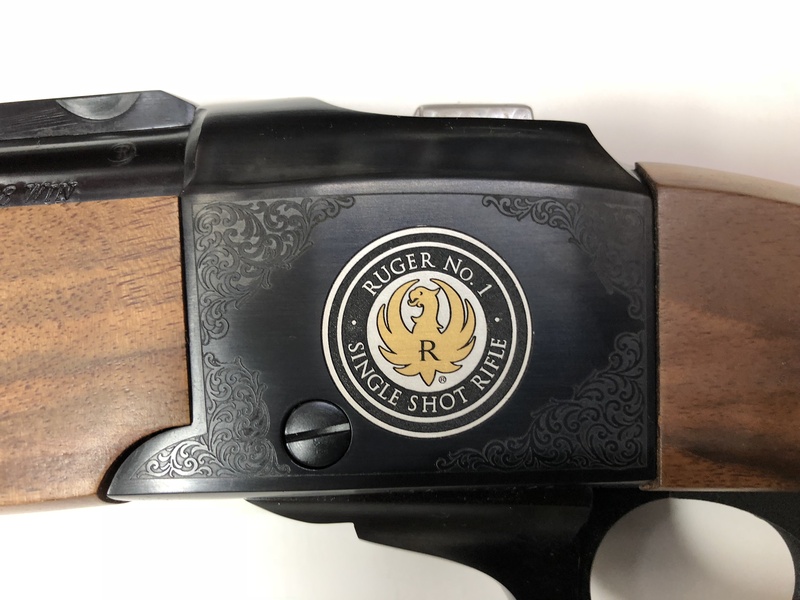 With a gold engraved receiver and high grade wood stock. A precious collectible!